The 2008 presidential election was celebrated around the world as a seminal moment in U.S. political and racial history. White liberals and other progressives framed the election through the prism of change, while previously acknowledged demographic changes were hastily heralded as the dawn of a “post-racial” America. However, by 2011, much of the post-election idealism had dissipated in the wake of an on-going economic and financial crisis, escalating wars in Afghanistan and Libya, and the rise of the right-wing Tea Party movement. By placing Obama in the historical context of U.S. race relations, this edited book interrogates the idealized and progressive view of American society advanced by much of the mainstream literature on Obama. Barack Obama and the Myth of a Post-Racial America takes a careful look at the historical, cultural and political dimensions of race in the United States, using an interdisciplinary analysis that incorporates approaches from history, political science, and sociology. 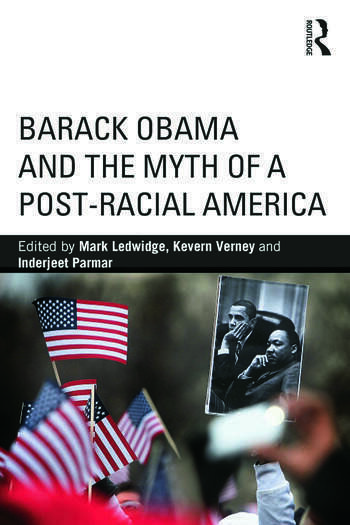 Each chapter addresses controversial issues such as whether Obama can be considered an African-American president, whether his presidency actually delivered the kind of deep-rooted changes that were initially prophesised, and whether Obama has abandoned his core African-American constituency in favour of projecting a race-neutral approach designed to maintain centrist support. 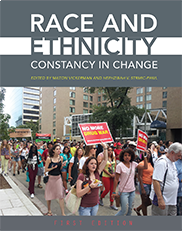 Through cutting edge, critically informed, and cross-disciplinary analyses, this collection directly addresses the dimensions of race in American society through the lens of Obama’s election and presidency. Why have American policies failed to reduce the racial inequalities still pervasive throughout the nation? Has President Barack Obama defined new political approaches to race that might spur unity and progress? Still a House Divided examines the enduring divisions of American racial politics and how these conflicts have been shaped by distinct political alliances and their competing race policies. Combining deep historical knowledge with a detailed exploration of such issues as housing, employment, criminal justice, multiracial census categories, immigration, voting in majority-minority districts, and school vouchers, Desmond King and Rogers Smith assess the significance of President Obama’s election to the White House and the prospects for achieving constructive racial policies for America’s future. Offering a fresh perspective on the networks of governing institutions, political groups, and political actors that influence the structure of American racial politics, King and Smith identify three distinct periods of opposing racial policy coalitions in American history. The authors investigate how today’s alliances pit color-blind and race-conscious approaches against one another, contributing to political polarization and distorted policymaking. Contending that President Obama has so far inadequately confronted partisan divisions over race, the authors call for all sides to recognize the need for a balance of policy measures if America is to ever cease being a nation divided. Presenting a powerful account of American political alliances and their contending racial agendas, Still a House Divided sheds light on a policy path vital to the country’s future.